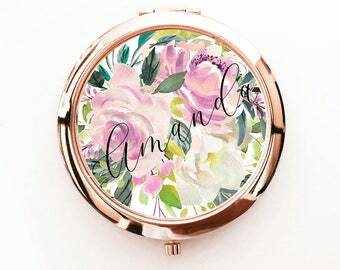 Personalized Mirror Compacts make pretty gifts for bridesmaids or any woman in your bridal party. 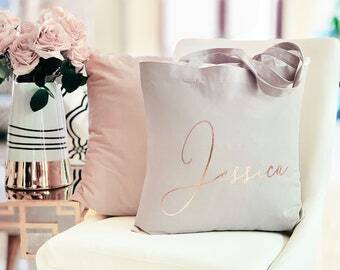 Bridesmaids and maid of honors can pop these in their purses or make bags for daily touch-ups. 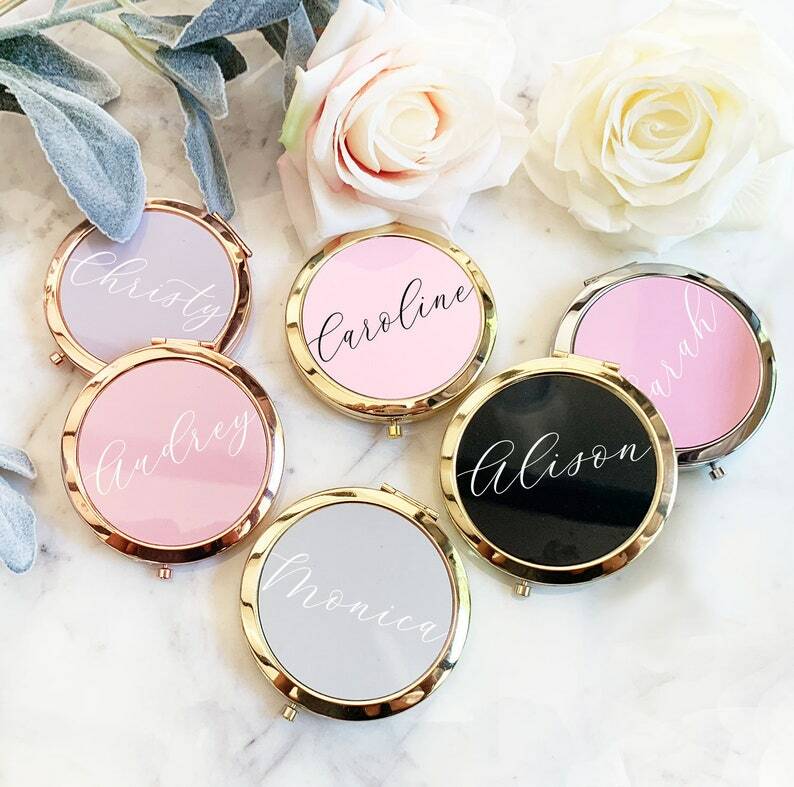 These gorgeous metallic compact mirrors come with a pretty script name/word, and in your choice in the color of your choice. 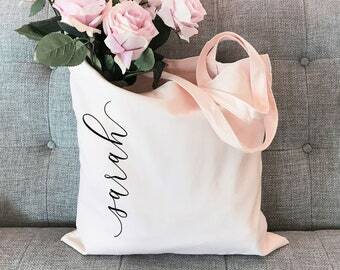 A unique gift Idea for any woman! 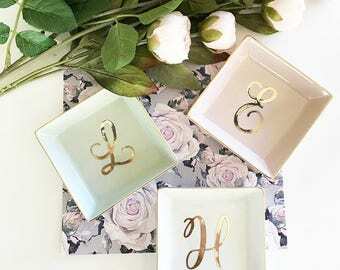 Listing is for ONE COMPACT MIRROR only - Personalized with a custom name OR title. 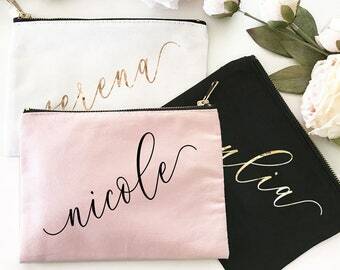 Signature Gift Boxes (3rd picture) are white with a black trim and have a gold heart on top - SMALL gift boxes can be added for an additional charge. Please enter your custom NAME in the BOX provided - up to 12 characters MAX - the more characters you have the smaller your text will become. 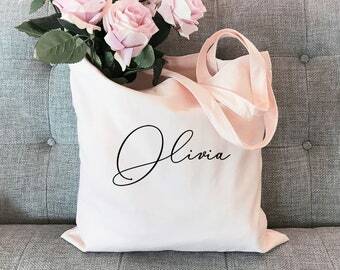 If you want multiple colors/names make sure you make you add one color/name at a time to your cart and then come back to continue shopping to add another one. 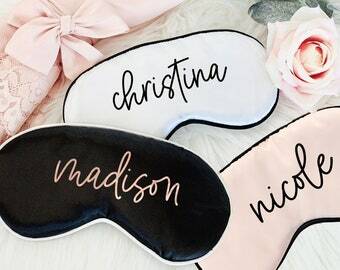 These are so amazing! 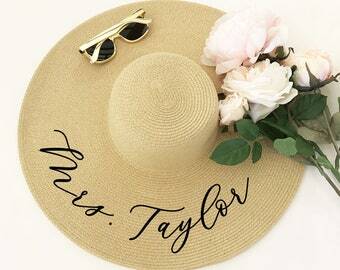 Elegant, beautiful and everything I wanted! 100% recommend! !